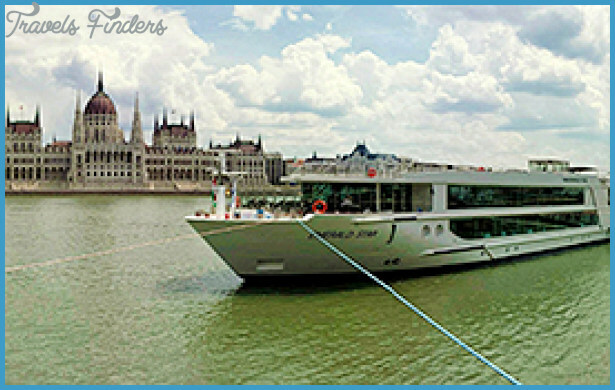 One of the newest river cruise lines, Emerald Waterways began operations in Europe in 2014. 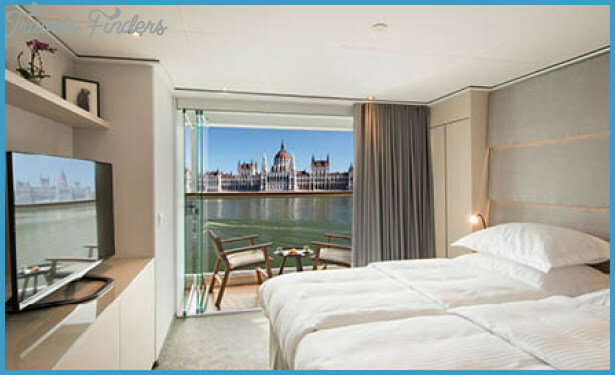 An offshoot of Australia-based tour and river cruise company Scenic (see p. 306 ), Emerald operates a fleet of custom-built ships designed exclusively for the line, which offer many of the luxuries found on the far more expensive ships of Scenic. 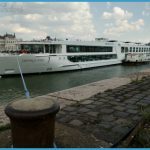 Targeting the price conscious consumer that still wants a high degree of quality, Emerald Waterways has grown up quickly: The line now offers voyages throughout Europe, including France and Portugal’s Douro Rivers. 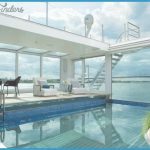 Recently, Emerald Waterways began offering cruises throughout Southeast Asia, with sailings to Cambodia, Vietnam and Myanmar (Burma). In Australia, the line is (confusingly) marketed as Evergreen Tours. 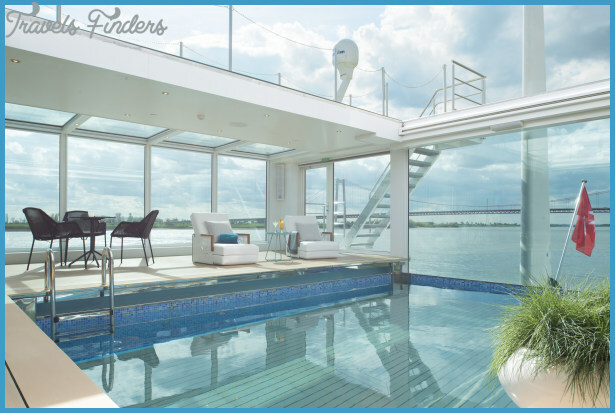 Cool Contemporary Ships: So new they still have that new ship smell, Emerald Waterways’ fleet offers some whiz-bang features, like infinity-style indoor/outdoor pool on the line’s Star Ships it even converts into a movie theater at night. Affordable Luxury: Snappy decor, good service, with gratuities and airport transfers included we couldn’t be happier that Emerald is keeping their fares low (because they could be charging more). Great Itineraries: The line has taken a page from parent company Scenic’s playbook here, developing some truly interesting intriguing throughout Europe and Southeast Asia. Fun Entertainment: Maybe it’s because there are Australians on board, but this line has more of a late-night scene than you’ll find on some other river ships. Quirky Stateroom Design: Aboard Emerald Sky and Emerald Star, bathroom entrances are positioned right beside the bed instead of near the stateroom entrance. It’s not an issue for couples, but friends travelling together may find this close proximity uncomfortable. The Food Is Just Meh: The cuisine is not what you’ll be bragging to friends about. Still, it’s plentiful and filling. Awkward Menu System: Only two menus are provided per table in the ship’s dining room, which leads to some interesting games of pass-the-menu at larger tables. The Emerald Waterways experience is inclusive but unpretentious. 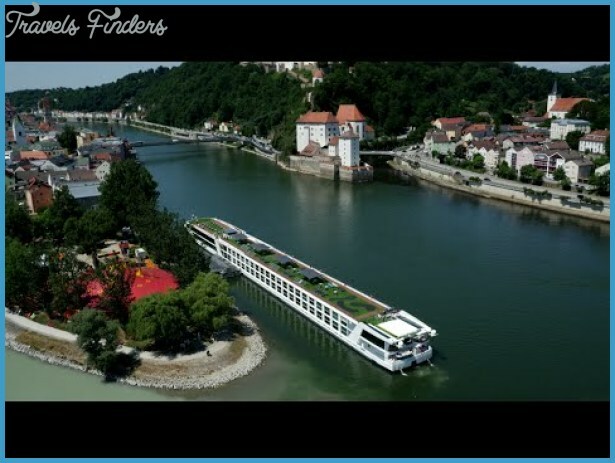 It’s a great choice for couples looking for an affordable river cruise that doesn’t skimp on inclusions or little luxuries. Sure, you won’t find the butlers and over-the-top technical doodads that grace Emerald’s upscale sister, Scenic, but a good number of Scenic’s most popular features have worked their way down to Emerald. Ships are bright, crisp and clean, and service is polished. 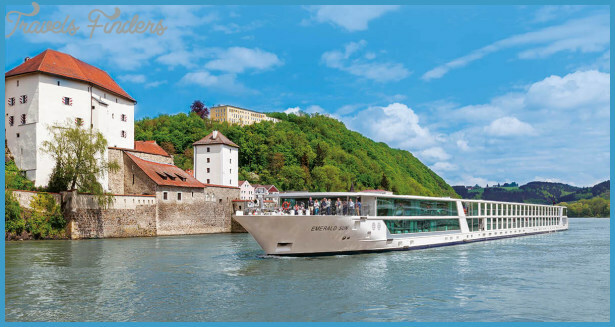 This sister company to fancier Scenic brings river cruisers a value-focused proposition: Fares include free loaner bikes, pre-cruise hotel nights, transfers, wine, beer and soft drinks with meals, unlimited coffee drinks, port charges, and Internet access (you can borrow an iPad from reception if you didn’t bring your own). 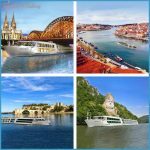 Also included are all gratuities (which in effect means that Emerald is more inclusive than competitors such as Viking River Cruises). 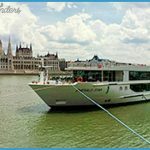 Best of all the lines EmeraldPLUS excursions are part of the deal, and many are designed to get away from the typical tourist experience ashore. On our sailing, that meant going in small groups to a local family home in Bratislava, Slovakia, where we learned how to make traditional baked goodies. It was one of the most entertaining and educational shore excursions we’ve ever had. The line also stands out in terms of design innovation; the five nearly identical Star Ships boasting a modern decor (the lounge may have an ebony bar that lights up like at a club) and the standout feature of a glass-enclosed swimming pool that converts into a movie theater at night (thanks to a telescoping pool floor that comes flush with the surrounding decking at night). There’s innovation in terms of cabins as well: The line’s Panorama Balcony Suites have a glass wall that converts to a French balcony at the push of a button. 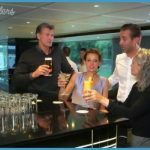 The ships are friendly, social and offer more nightlife than you’ll find on some competing lines which may very much be due to the fact there are likely to be fun-loving Australians and Kiwis among passengers on board. 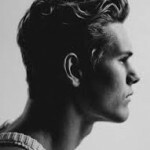 Your fellow guests will be mostly Australian, Canadian and UK travelers, with a handful of Americans thrown into the mix to create a very international experience. 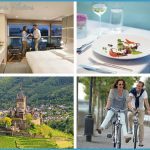 The average age on Emerald Waterways tends to skew about a decade younger than the competition, so expect to see many working professionals in their 40s and 50s on board in addition to active retirees. The Danube and the Rhine serve as the line’s main stomping grounds, with voyages between Nuremberg and Budapest and Basel and Amsterdam being among the most popular. 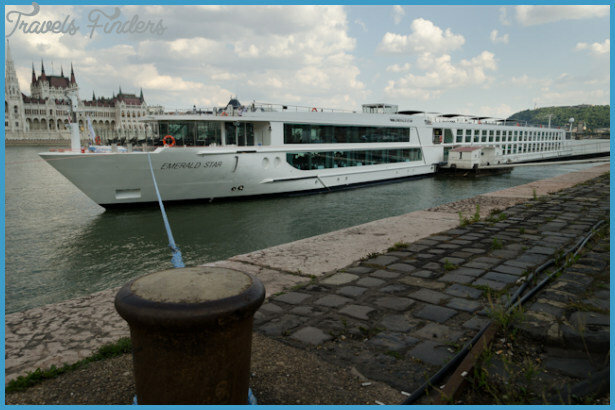 Emerald also operates voyages throughout France, with the new Sensations of France itinerary sailing for eight days between Lyon and Arles. Portugal’s Douro River is also offered as an eight-day cruise only voyage or as a longer overland journey that includes a stay in Lisbon. Southeast Asia is the newest destination for the company, which offers voyages along the Mekong between Cambodia and Vietnam, and the Myanmar’s Irrawaddy River. The latter is a 10-day tour operating between Mandalay and Yangon, or reverse. Breakfast and lunch are buffet-style, with hot and cold options; dinner is from a four-course menu with Continental and regional specialties, and always available items such as steak, grilled chicken and salmon. In a bit of an oddity, during the evening cocktail hour in the lounge, the chef proudly presents his featured dish of the day: a plate of, say, venison, passed around for everyone to see and smell. Preparations are okay (you won’t go hungry), if not particularly memorable. Vegetarians may be disappointed by the daily veggie entree, which gets short shrift in the creativity department. 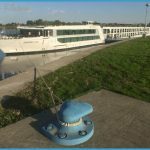 Ashore, Emerald Waterways offers plenty of choice. 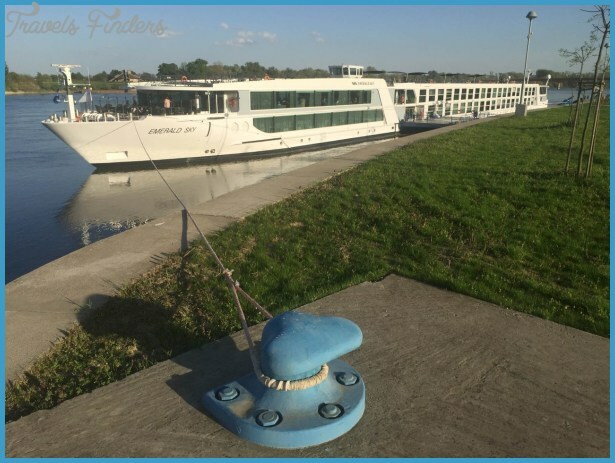 Complimentary tours are offered in every port of call, and the line further caters to guests by offering special EmeraldACTIVE tours for those who want to stay fit and see the sights at the same time. 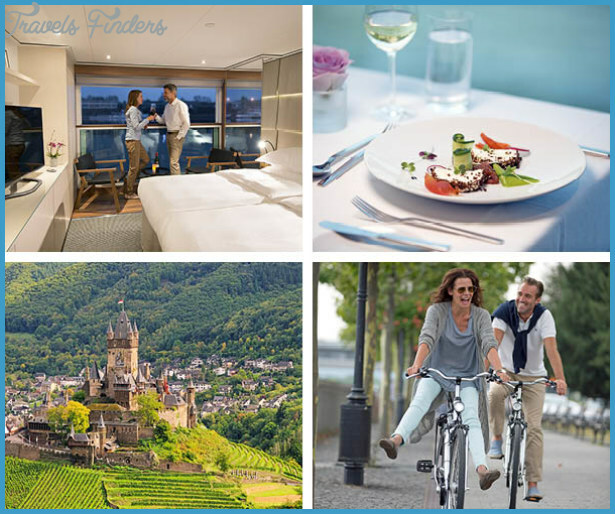 Each Emerald Waterways ship in Europe features a small fleet of onboard bicycles that can be checked out free of charge. You can use these to cycle through town or to head out into the countryside on the many cycle paths that border the rivers. Other activity offerings are of the low-key variety. There are not guest lecturers on board, but we like the fact that Emerald has members of its crew do sessions where they talk from their personnel experiences on a Lower Danube sailing, for example, the cruise director, who grew up in Romania during Communist times, talked quite candidly about what that experience was really like. The wheelhouse is always open for those interested in navigation and locks and hanging out with the officers. None. 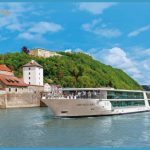 Children under 12 years of age are not allowed to sail with the line, except on specially designated Christmas Markets river cruises and even then, special advance permission is required. With party-loving Aussies and Kiwis on board there is a bit of a late-night disco scene. Folks hit the dance floor to a nostalgic playlist that includes the Village People and Gloria Gaynor. When the DJ plays Olivia Newton John, the crowd goes wild. After 10 pm, the crew serves snacks to keep everyone energized. Some nights there are also movies (see Activities above). Early evening a keyboardist plays tunes during cocktail hour. Not to be missed is the crew show, held one evening of the sailing. We’ve all seen the waiter who thinks he can sing, but on one cruise we listened to a hotel director who sang like a professional, and laughed hysterically as several members of the crew performed skits that were well rehearsed and were also well delivered. 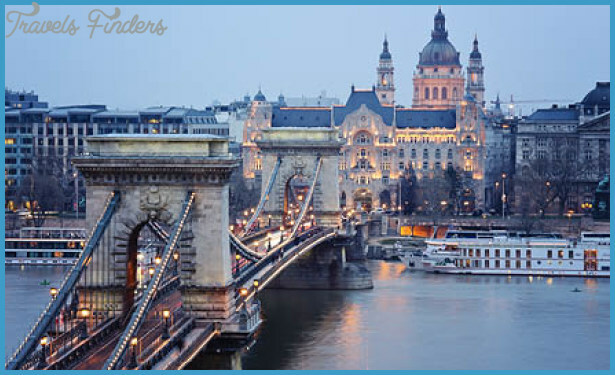 Folk troupes and other performers come on board, such as a Bavarian band on Rhine and Upper Danube itineraries, and exuberant dancers in Serbia. The international crew (from various countries in Eastern Europe, Asia and elsewhere) tries hard, is very efficient and is for the most part quite friendly. Tips are included in the fare. 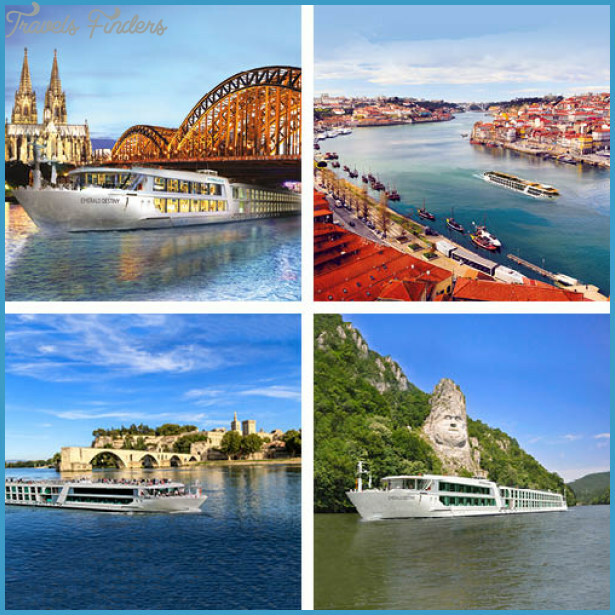 The Emerald Waterways fleet consists of Emerald Sky (2014), Emerald Star (2014), Emerald Dawn (2015), Emerald Sun (2015), Emerald Libert e (2017), Emerald Radiance (2017). Two chartered vessels (Mekong Navigator, 2014; Irrawaddy Explorer, 2014) operate the line’s cruises in Southeast Asia.